I can’t decide if this is a chowder or a minestrone soup with lots of cheese. For some strange reason it reminds me of a soup Mum used to make with grated onion, carrot, celery and chicken noodle soup which she covered with water and when cooked added some milk to – don’t think there was ever a recipe for it, but it was one of my favorites especially when I was sick. 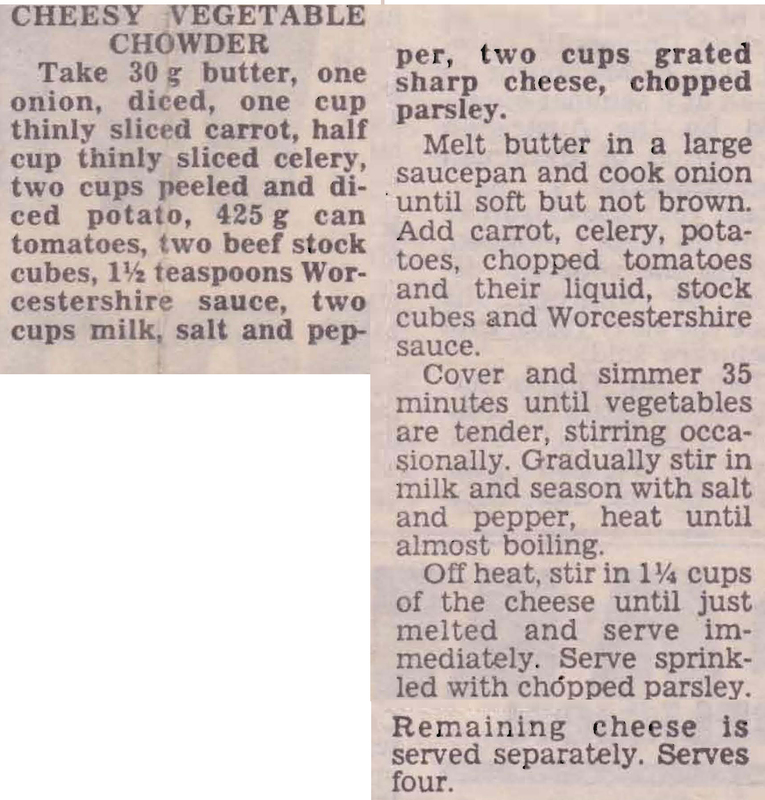 This entry was posted in All Recipes, Soups & Starters and tagged 1980s, carrots, celery, cheese, cheesy vegetable chowder, onion, potatoes by bebsrecipes. Bookmark the permalink.